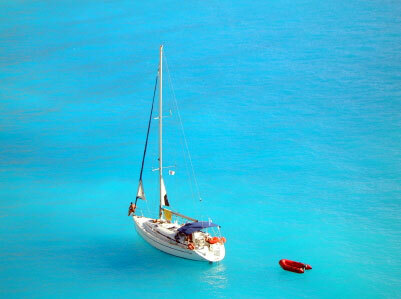 If a luxury getaway just isn't enough, then might I suggest a BVI sailing Vacation. This is how to sail the seas in style! I'm not sure if you can tell from the picture or not, but there is a person sitting at the very front of that boat. That person could be you. Imagine just soaking up the sun and having your only concern be how many waves are splashing up against the side of the yacht that you've rented for the day or the week. That scenario sounds pretty sweet to me. If that's not enough indulgence for you, not to worry, a captain and crew are available. There's also no reason to worry about food or cooking, as a chef can also be at your beckoned call. 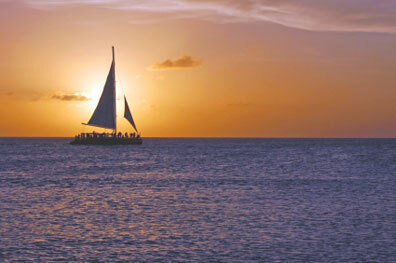 So throw your worries overboard, and don't even think about lifting a finger, you Caribbean sailing vacation awaits you. Now how do you make that dream a reality? Finding a crewed charter might be a bit harder than you think. Mainly because there are so many options available, which when you think about it isn't that bad of a problem to have. Take my advise and contact the staff at Conch Charters. They provide a huge selection of spotless yachts, with crew members that will make you feel like your right at home. Even if you're thousands of miles away with your toes in the sand. Now remember that crewed charters are the opposite of bareboat charters. Crewed charters come with all the amenities that you can think of. These amenities include things like like food, drink, cell phone, snorkeling equipment, watersports gear, kitchen supplies, and housekeeping supplies, etc. As you can see you will need to be well provisioned just to leave the marina. A captain, chef (optional), and crew (depending on the size of the boat) is also provided. You can even call ahead to tell the folks at Conch Charters what you'll need in the way of provisions. If you're anything like me you'll have no idea what kind of items that will be required. In that case you can just pick one of the several provisioning packages available, and you can soon be sailing on the very brink of the horizon. The crewed charter caters to the more well-to-do clientele. Charters of this kind are usually rented by the week, you can embark on any day you want. In fact if your flight gets in from the Tortola airport late in the evening, many times the Conch Charters will let you stay on the boat overnight free of charge. If you think the price is just to high, then might I suggest a bareboat yacht charter. 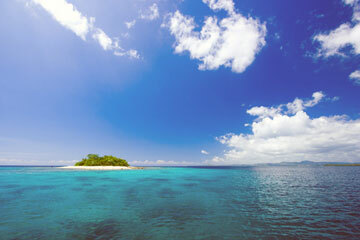 You can save some cash this way but still get an amazing BVI sailing vacation experience.